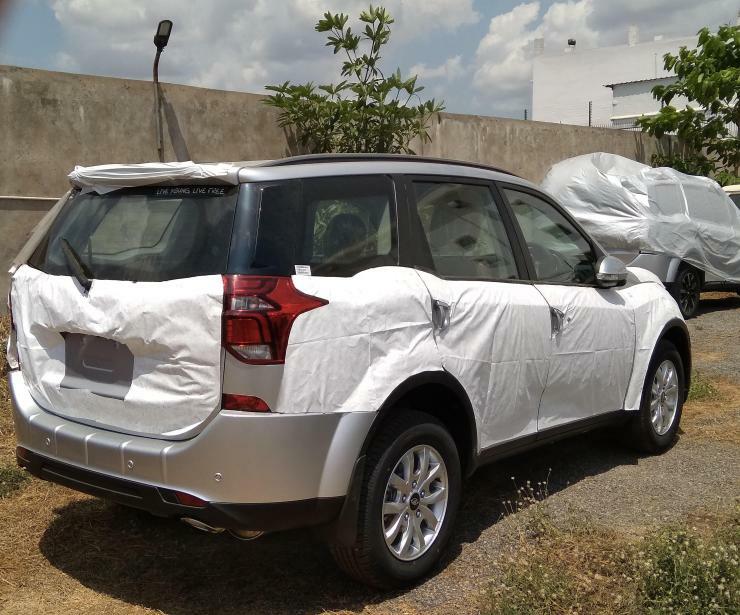 The facelifted, 2018 Mahindra XUV500 SUV is just days away from being launched in the Indian market. While a large number of spyshots of The 7-seat crossover have been surfacing almost every other day, here are some more spyshots that reveal more details of the new vehicle. 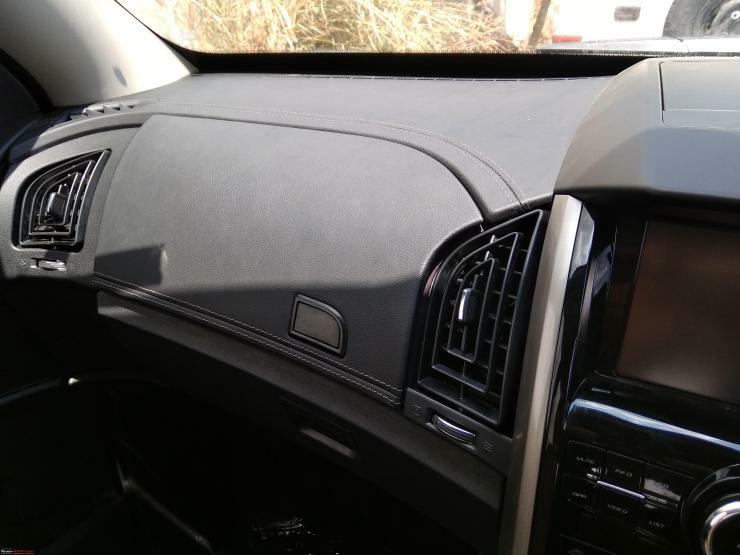 The 2018 Mahindra XUV500 will get soft touch leather cladding for the dashboard, on top-end models. The dashboard and door panels will get cross-stitching for a premium look and feel. The dashboard gets a black-grey colour combination with satin inserts for contrast. The seats are leather clad, and feature a diamond stitch pattern. The infotainment system, which while looking similar to the unit on the current model, is said to get a range of new features. The tweeters move from the sides of the dashboard to the front A-pillars. The new XUV500 is likely to be offered in W5, W7, W9, W11 and W11 Optional trims. It’ll have two engine options, both 2.2 litre-4 cylinder turbocharged units. The petrol engine will get 140 Bhp-320 Nm outputs and will get a 6 -peed automatic gearbox as standard, driving the front wheels. The diesel engine will get 155 Bhp-350 Nm outputs, with 6-speed manual and automatic gearbox options. Both front wheel drive and all wheel drive options will be offered on the diesel variants. 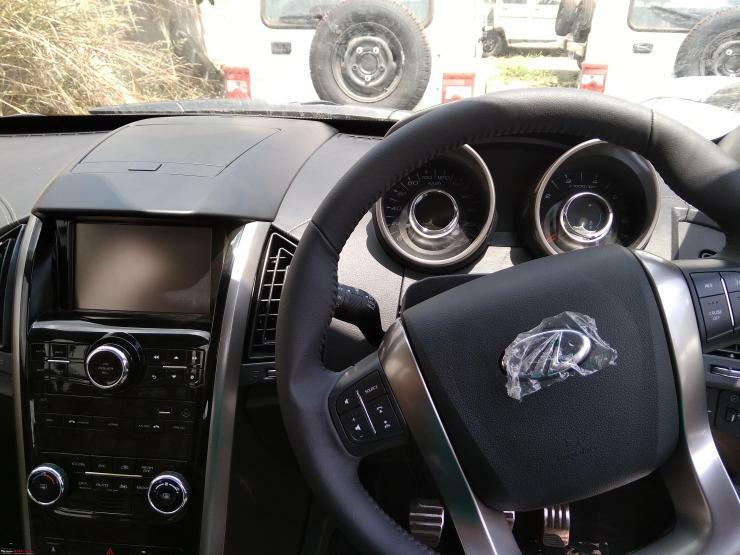 The facelifted XUV500 is likely to be slightly pricier than the outgoing model, considering the long list of changes and the additional premiumness in the new model. Also, we expect Mahindra to be quite sharp with the new XUV500’s pricing considering the fact that the Jeep Compass has beaten the XUV for multiple months now, in terms of sales numbers. Currently, the XUV500’s prices range between Rs.12.78 lakhs for the base variant to 18.89 lakhs for the top-end model. The facelifted model could start with a 20,000 rupee premium over the current models. Will the facelift help the XUV500 regain its top position in its segment? Time shall tell.